GoMarket is a package of 13+ Best Premium eCommerce Supermarket WP Themes. Designed by Top Elite Author..
Go Market, a worthy to buy Wordpress interface, don’t miss out. 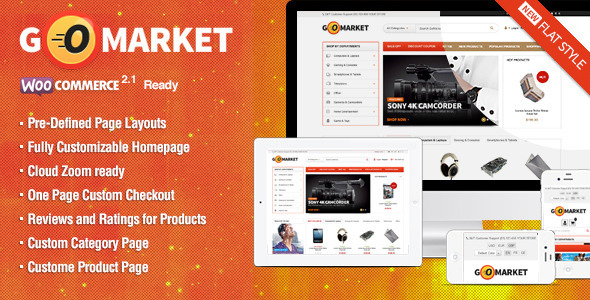 The Gomarket Theme includes 2 Menu: Horizontal Menu and Vertical Menu. Vertical menu toggle can enable/disable. Blog Page: Config Blog Category Page. - Fix small error in product page. - Fix menu on mobile device.